1. Have a Plan & Update the Plan! 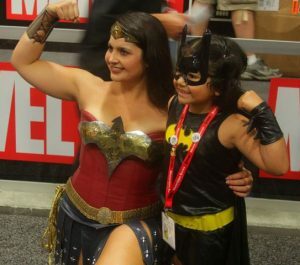 Spend some time at comic-con.org and make a rough-draft plan before you even leave for San Diego. Figure out what panels are MUST-SEE for you, if there are any exciting events or meet-ups, where your favorite creators are holding signings, and where your favorite booths will be. After you have your rough-draft, highlight your three top choices for each day. 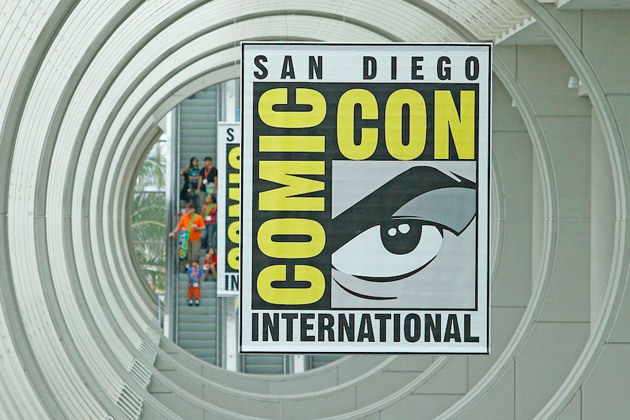 When you get to SDCC, be sure to check updates online and to check the programs they hand out for updates and changes to the schedule. Twitter is also an awesome tool for staying on top of adjustments to scheduling. YOU WILL HAVE TO MAKE HARD CHOICES. You will never get to everything you want to see. Be prepared for this. You should always carry water, food, hand sanitizer, and painkillers with you. Food and water are incredibly expensive, and you could easily lose an hour standing in line at the Starbucks in the convention center. Bring a backpack or messenger bag full of power bars, trail mix, bottles of water, candy. If your feet or head start hurting in the middle of the day it’s always better to be able to deal with it immediately, and you want to avoid getting sick when dealing with the (mostly) unwashed masses. PRO TIP: I love collapsible water bottles for conventions. They are easy to refill at water fountains and take up less space in your bag when they are empty. I also recommend bringing a cooler of food with you to leave in your hotel, especially if you are staying anywhere near the Gaslamp district. It’s much cheaper/easier to make yourself a sandwich for lunch, or have some milk and cereal in the morning than dealing with the waits and upped prices of local restaurants for every meal. Requesting a fridge is ideal, but those are usually limited and gone unless you arrive on Monday or Tuesday before the Con. 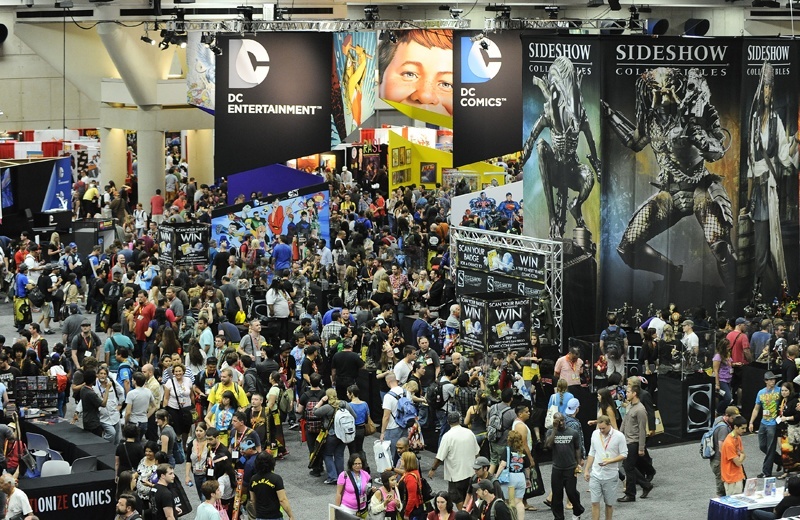 The massive amounts of people really put the strain on technology at SDCC. All cell networks are stretched within an inch of their life, and it’s often hard to get service in parts of the convention center. If you are splitting from your party, or want to meet up with specific people, plan it ahead of time or early in the morning before everyone starts using the network. You will waste less time if everyone knows to meet at the outside stairs at 10am, instead of texting and calling and trying to round people up on the fly. Pack extra batteries for your camera, phone, and even your laptop if you are able. If not, be sure to bring your charger with you and a surge protector. You will be the most popular person in your line if you share the charging power with those around you. It will also guarantee that you are allowed to use the outlet, even if someone’s already plugged into it. While you’re in the convention center turn off GPS and other non-essential functions on your phone to save battery life. Most of that stuff doesn’t work within the heavy concrete walls anyway. If you’re a cosplayer, you’re screwed. Everyone else, dress as comfortably as possible. Comfortable shoes are the most important thing. You will be on your feet ALL DAY. ALL DAY and maybe most of the evening!!! Wear something with support that is made for running or walking and be sure they are already broken in. Dress in something that breathes (cottons, natural fabrics) so that you stay comfortable and sweat can evaporate instead of getting sticky. You will probably want to sit on the floor at some point due to exhaustion and lack of seating, so be sure your outfit can handle that. Wear a sweatshirt around your waist, even if it’s a warm day. Some of the panel rooms or outside areas can get pretty chilly with the air blasting. Bring a backpack or messenger bag to carry swag in. If you really like free stuff, bring an extra empty one with you! They bags they hand out are cumbersome and can be hard to carry in crowded areas. Actually, have a few maps. You will want a map of the show floor and convention center. You can print these out early at the Comic-Con website or pick them up on site. A map of the downtown San Diego is really handy as well. With internet/cellular service somewhat unreliable at times, it really helps when you are trying to find events away from the convention center. These are usually available for free from your hotel, or you can print one out before you leave home. AVOID DRIVING AS MUCH AS POSSIBLE! Walking, even to something many blocks from the convention center, will be faster since most of downtown is at a perpetual standstill. You can always hire the bike carriages that are all over the place if you don’t feel like walking. If you are driving in each day, GET THERE EARLY! It’s San Diego for heaven’s sake! You never know when your panel’s line might end up outside, or if you’ll be stuck sitting by a window. You don’t want to become a french fry if the walk from your hotel takes longer than expected. There are lines for the panels, and the more popular something is, the longer the line will be. 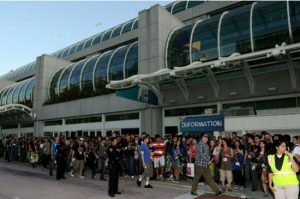 Hall H has the longest lines (see picture of Hall H line to the right), but with good planning it is usually doable. 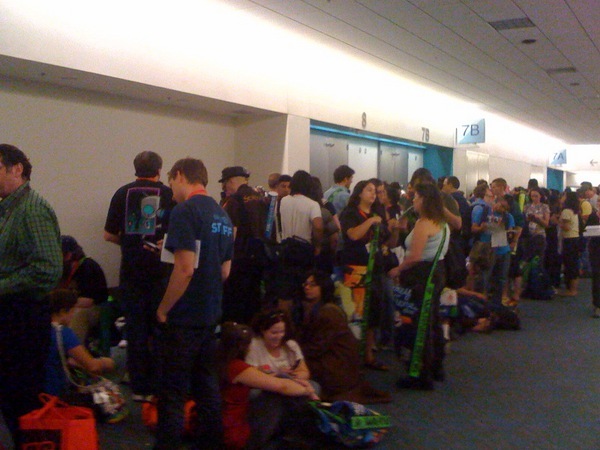 Some people sleep overnight to get into Hall H, and rumors of famous stars visiting the line late at night abound. If you’re planning to spend lots of time in the Hall H line be sure you only have one normal sized chair or sleeping bag and are not saving spots for people not in the line (bathroom breaks are ok). It is also outside, so be ready. The big thing to know is that they don’t clear the room after each panel. So people will sit through many panels to guarantee that they see the one they want in a few hours. Hell, many people just hang out in Hall H all day and never see the rest of the convention. This can be frustrating for people in line because sometimes the room hits max capacity before the whole line is allowed in. Again, if something is really popular, go early and politely sit through the panel(s) before it. Before spending all your time trying to get into a panel, check to see if it will be posted online. It’s a great way to see a panel without dealing with the crowds or when there is a scheduling conflict. You might have to do a little hunting around, but thanks to YouTube, a huge amount of panels are available to watch later. If you go to a panel and want to participate, PLEASE ASK GOOD QUESTIONS. Nobody wants to hear a rant about your feelings on their work for the last 10 years. Make sure your asking something that involves the panel topic and doesn’t make the panelists hate you. Leave yourself extra time to get everywhere. No matter how well you plan your day, there will be issues that come up. This is most important with getting to and from the convention center at busy times. The shuttles can sometimes get off schedule, so catching an early one will ensure that you don’t miss your favorite stuff and give you more time on the convention floor. Arrive early for signings, panels, and screenings. There are always lines and the sooner you arrive, the better chance you have of actually getting to participate. There is no real rule of thumb for this, but it will easily take you two or three times as long to get anywhere. 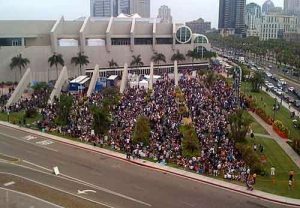 There is a massive number of people at Comic-Con. 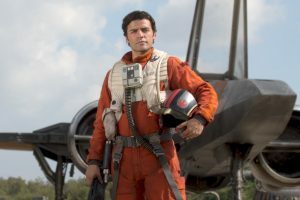 I don’t want to stereotype our subculture, but I’ve attended enough gaming and comic conventions to know better. PLEASE SHOWER EVERY DAY! PEOPLE NOTICE!! Parts of the convention center get very warm and everyone sweats. I don’t care how worn out you are, SHOWER. I highly recommend packing a small travel stick of deodorant in your bag to freshen up throughout the day, especially cosplayers who are wearing bulky or heavy outfits. Please also be sure to brush your teeth daily since you will most likely be conversing with other humans at some point. Mints or gum are a great way to stay fresh throughout the day. By Sunday, many parts of the convention center develop a distinct odor. If you’re not part of the solution, you are part of the problem. The people who are dressed in costume are called “cosplayers,” and they are people too. In fact, they are fans just like you! They are not paid by the convention, and they buy their tickets and hotel rooms just like everyone else. Cosplayers are there to enjoy themselves, not to entertain you. Be respectful. They come from all walks of life and you never know when a cosplayer might be an off duty cop with a passion for sewing. DO NOT TOUCH A COSPLAYER WITHOUT ASKING FIRST! 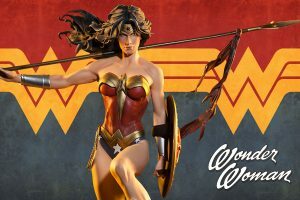 COSPLAY DOES NOT EQUAL CONSENT! Most cosplayers do love to pose for pictures because we are incredibly proud of the outfits we have made and love the characters. It’s always great to meet another fan and very flattering to be asked for a photo. Ask first, and it’s always great to have you pose in the picture with us. If you are planning on posting the picture online, please talk to the cosplayer about it first. Most have Facebook pages or DeviantArt pages that you can easily credit. Be careful of our costumes! We put hundreds of hours and often hundreds of dollars into making them. Some pieces may look very sturdy, but often they are very fragile. Grabbing something or touching something can seriously damage it. Ask before grabbing a prop to pose with or before putting your hand on their shoulder armor. Comic-Con is an amazing experience, and a yearly tradition for many fans. The most important thing is that you enjoy yourself. 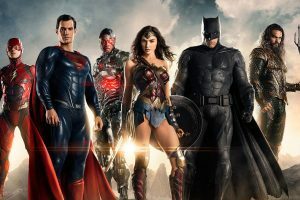 Take time to soak in the experience and appreciate how cool it is to have so many geek brothers and sisters all in one place! Footnote to #8: If you’re a cosplayer, don’t expect to be able to get ANYWHERE in 30 minutes or less. Plan for like an HOUR to get across the Exhibition Room floor, due to crowds and people stopping you for pictures.